There Are No Rules, There Are Only Possibilities! I spent much of my teenage youth testing and stretching the rules. If you knew me back then, I’m sorry. If you still like me, then thank you for seeing the pearl in the proverbial oyster. As an adult, I know I’ve learned a lot from the mistakes I’ve made in my life and still have much more to learn. One of the important lessons I learned as a young child is that Our society is full of all kinds of rules. Laws, yes, but I mean social rules. As I got older, I learned that many of the social rules are easily broken, bent, ignored or excused. That is to say, they really don’t matter. Wine is no different. There are all kinds of rules we learn, and then eventually unlearn as we gain insight and wisdom. -Not to refrigerate red wine. (I do it all the time to slow aging or to preserve a delicate red.) By the same token, if I’m drinking a white and it gets warm, I will not hesitate to drop an ice cube or frozen whiskey stone in my glass. Proper serving temperature can make a huge difference, and with whiskey stones, you don’t have to risk diluting your wine with water. –Champagne first! Served before the appetizer as a toast. It’s also lovely with dessert, or between courses, is a great palate cleanser, and the bubbles aid in digestion. 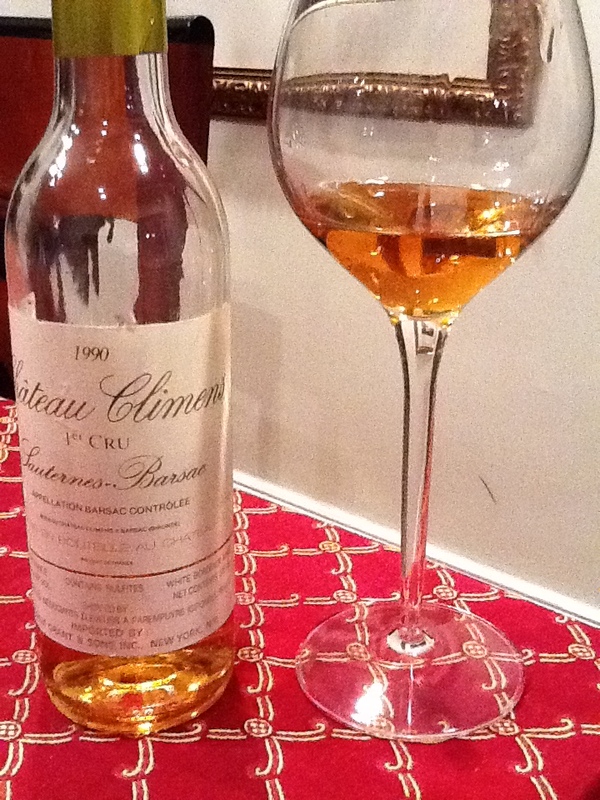 –Dessert wine is served after the meal. It’s actually best with a savory appetizer. Fois gras and Sauternes…need I say more? –The more expensive or rare a wine, the better it is. Maybe, sometimes. And other times, a $15 value bottle can blow away the $$$ really expensive bottle. But the inverse can also be true, and blind tastings have thrown the traditional beliefs out the window. –White wine with fish, red wine with meat. My lovely wife just doesn’t drink red. It aggravates her asthma. I have some friends who don’t care for white wines, and others who don’t care for any wine. 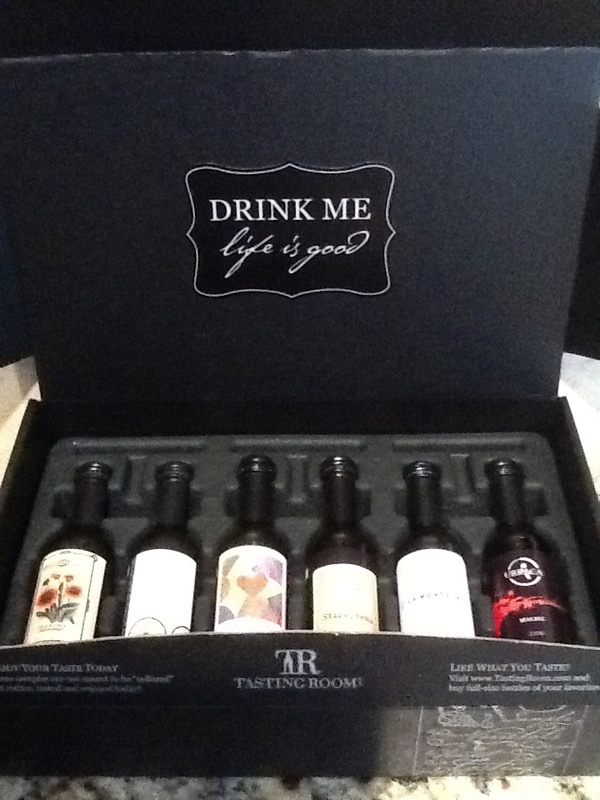 Drink what you like, taste and try new things. 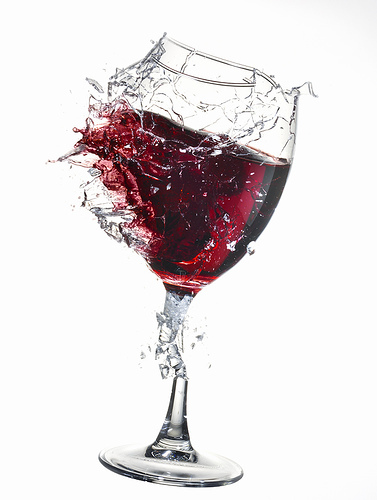 The “aha!” moment that dispelled wine rules happened several years ago. I was working on a design with a close friend who suggested dinner at a lovely restaurant that specialized in Pacific Northwestern Cuisine. The evening special was cedar plank roasted sockeye salmon, and after we ordered it, the waiter highly suggested a Washington State pinot noir to complement the fish. I had carefully planned a Sauvignon Blanc from the list, and my face must have registered shock, as the waiter deftly and demurely suggested that he’d bring us both a taste (gratis) with the main course and then if we liked it, he’d bring either glasses or a bottle. It was my first time trying a red with fish, and it was an amazing pairing, far better than the glass of Sauv Blanc I’d gotten for the salad course. While I’ve long forgotten the name of the pinot noir, I’ve never forgotten the experience of having this rule plainly shattered. Later on, I searched NY’s finer wine stores near me for the wine. While I never crossed paths with it again, the owners turned me to several lovely Northwestern wines I’d never have even considered prior to this experience. 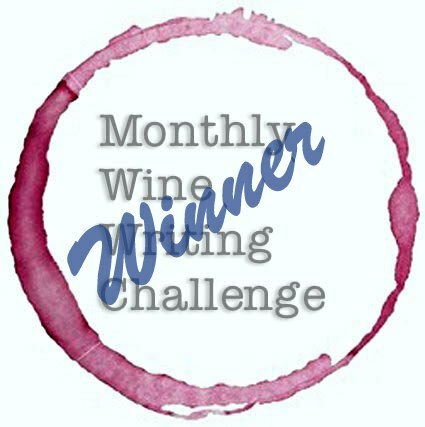 If you read my last commentary on the ‘meh’ wine experience, you might enjoy knowing that I recently had not one, not two, but THREE back to back ‘meh’ experiences with new wines. It’s my personal position that I won’t share a “C” wine, even if it’s just a basic vin du table, in the same way I wouldn’t review the neighborhood diner- who wants to hear, “yeah, it’s a meal” or the oenophilic equivalent, ‘it’s drinkable’? Not me! Ergo, you haven’t seen me mention those wines. After tasting three ‘meh’ wines in a row, I opened the Old Coach Road Sauvignon Blanc 2011. 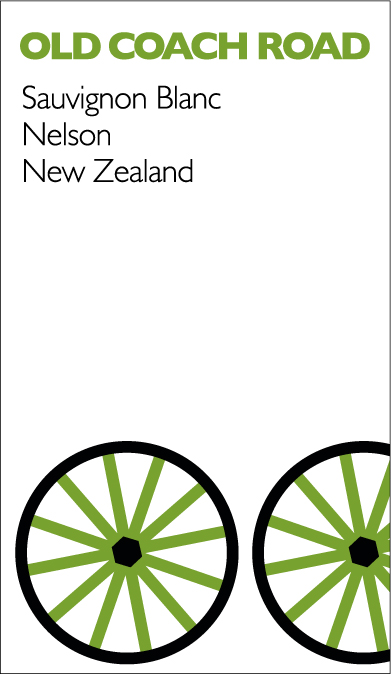 From Nelson, New Zealand, this is a family owned & operated winery operating since 1975. And I enjoyed it, so I get to share it here! This white wine has a pale straw color and a flowery, citrus-forward nose. On the palate there is a nice balance of green fruit, crisp and tasty, with notes of apple and peach to provide a classic Sauv Blanc with a good balance of acidity and a medium finish. I’ve seen this advertised online for $12/bottle, though the winery website sells it at the list price of $15/bottle. 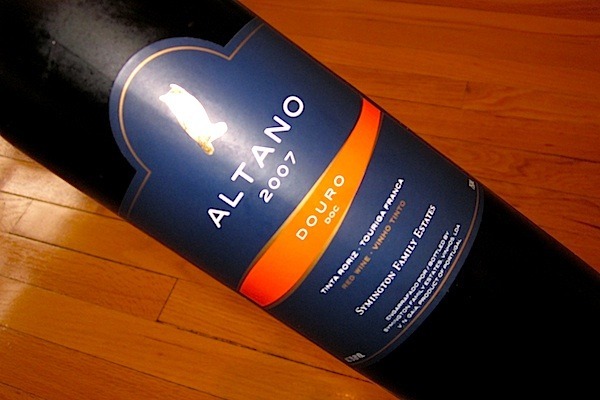 On the lower end of the price scale, it’s a decent table wine that is nice and easy on its own or when paired with summer meals like shellfish, salads, light cheeses, or white meats. This one is a keeper I can stand behind as a wine that Sauv Blanc lovers will enjoy. It’s a solid B quality vine du table, I wouldn’t hesitate to serve at brunch or for the neighbors in the backyard for a relaxing glass at sunset. While it won’t ever be my first pick for a Sauvignon Blanc and I can find much better values in my local wine stores, I would not turn down a glass of this wine: it is a good example of the light, gentle drinking grape that is easily enjoyed. On a recent business trip, I attended an evening dinner party at a lovely Charleston, SC restaurant called High Cotton. I was asked to choose wine for the group of 12, which was an even mixed group of varying ages from 30-50’s, men and women. High Cotton has two wine menus, one Reserve (on the expensive side, starting at a hundred bucks and going into the thousands), and one ‘standard’ in front of the food menu. This restaurant utilizes local providers for a very high end approach to southern cuisine, with plenty to choose from at reasonable prices. I listened to what people were discussing while viewing the menu. Some people decided quickly, others discussed options and reviewed the daily specials. I quickly scanned the reserve wine and standard wine lists. At this restaurant, wines are even more diverse than the food, which runs from vegetarian options to fish, fowl and beast in many different forms. Had cost been no concern, I could have used the reserve wine list and started with either Montrachet or Meursault, and then slowly pained over the Burgundy red list as there are many very nice wines in this collection, but highly expensive wines are also highly specific. While I had a very appropriate wine budget from the host, I wanted wines that were slightly less specific for this group to make better overall pairings, so I quickly decided to stay with the regular list and finally selected two wines using the criteria below. My goals: I wanted a white for the salads, appetizers, soups, and fish entrees. I looked for a semi-dry white with minerality that had no more than a hint of sweetness, featuring forward & crisp acidity but little oak or wood which might preclude it from pairing with shellfish, the salad with peach and the cold peach soup that was a daily special. For the other wine, I wanted a medium-bodied red with some age (or a young red with excellent structure and balance) that could stand up to match the savory appetizers and heavier meats, but that could also be enjoyed on its own if someone just wanted to enjoy a glass of red. A Bordeaux blend seemed obvious after reviewing the California, Spanish, Australian and South American options. My selections were both French wines. I quickly mentioned each to the server, who smiled and agreed they would work well with the varying dishes on the menu. 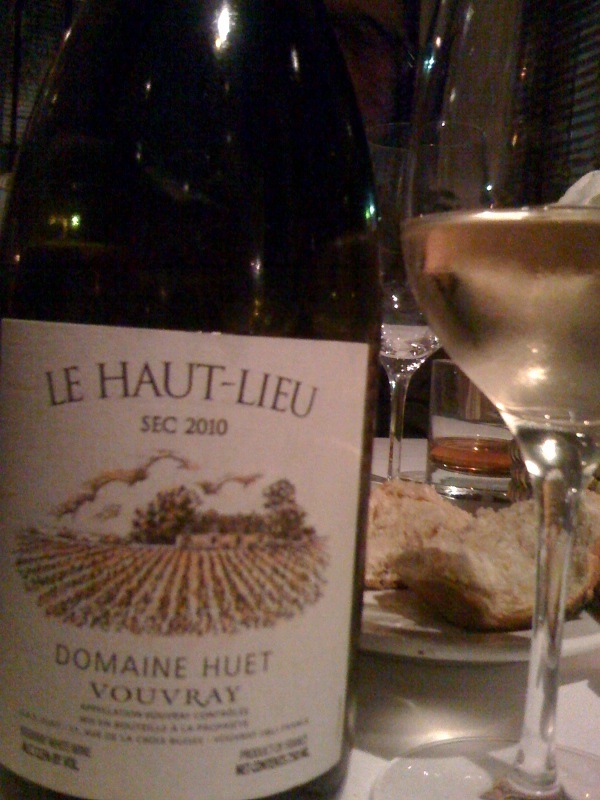 White: Vouvray Domaine Huet France, 2010 ($56). I like the Chenin Blanc grape for the task. I know the Loire valley and Vouvray well, but had not tasted this vineyard since the 1990’s. Pale straw color and a lovely floral and honeysuckle nose. First taste was clean, delicious with bright fruit- apple, pear, quince, and a touch of citrus which led into the lengthy finish. Nice and dry, balanced and delicious. I was thoroughly impressed by this bottle, and after I tasted it I looked it up quickly to see it ranked a 92/100 from Wine Spectator -score! The most important showing was when I watched my dining partners taste this wine with the salads, cold fruit and warm daily special soups, fish, and other dishes- and the results were entirely positive. This was the only French wine on their non-reserve that had some age to it, and I knew that 2000 was a great year for the right bank, though I’ve been told not to touch right bank wines until they are 15, I felt this was a safe bet as opposed to some wines I did not know that posed greater risk in comparison. I made a mental note of a back-up wine I liked, and watched closely as it was decanted at the table. 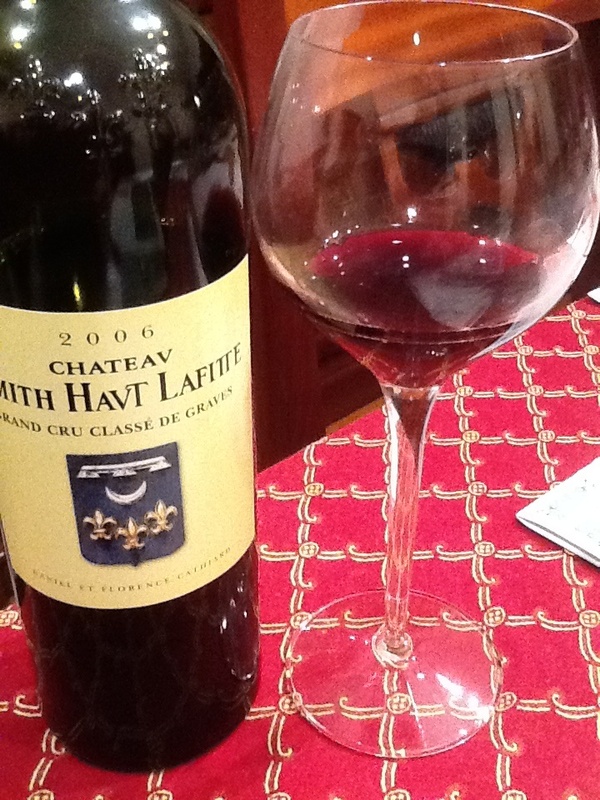 The color was a bright ruby with a slight browning on the edge, more than I’d expect for a 12 year old vintage. The nose was red fruit and flora. Cassis and red plum show as the dominant fruit, secondary notes of cherry, clay, cedar and spice box together with a touch of spicy pepper and gravel at the back. Medium finish, medium body overall, and soft tannins. The Pomerol terroir of clay and its velvety quality show nicely. When I did my quick look at the ratings I was surprised to see this wine had ratings in the mid-80’s. I disagreed with this perspective, and felt that this wine offered more- perhaps it was the age, the success in the pairing, but regardless this wine was a delicious choice. Ordered for the table were pork belly w/ pickled watermelon, buttermilk fried oysters, and a charcuterie plate (which was phenomenal, including a house terrine, a fois gras, and a rabbit terrine). Our group ordered widely across the menu, including both hot and cold seasonal soups, salads in addition to the shared savory appetizers for the table. For main courses everything from fish to rabbit to chicken to steaks were ordered. The table of 12 raved at both wines and the pairings with their meals. I was fully satisfied I had done my job, and we enjoyed bottles of each for the courses we poured through over several hours including shared desserts. So other than my wine reviews, what do we take home from this dinner party? 1) Don’t be embarrassed to check your selections with the sommelier or qualified server. They know the food and have tasted it and have seen clients respond to food and wine before. They will know which dishes and wines are crowd-pleasers, and what to suggest to pair with the house favorites. 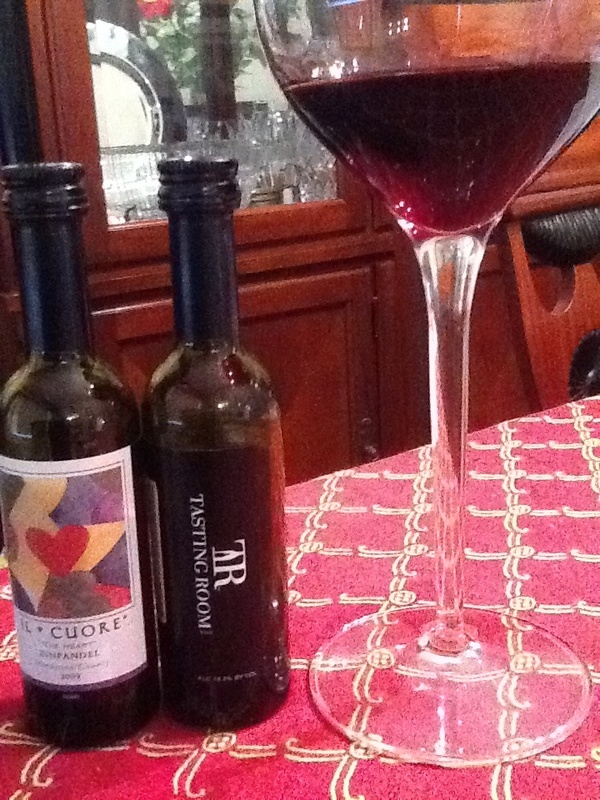 2) A good pairing improves the quality of both the wine and the food. 3) Know what you like. Heck, even if you don’t have an educated palate or strong understanding of wine, do share what you normally like so someone can help you if you are staring at a menu with things you don’t know. 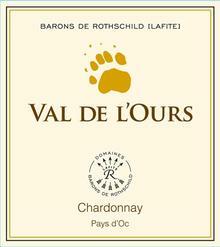 Val de L’Ours Chardonnay 2010 is a country white from the Languedoc region of Southern France near the Mediterranean Sea, cultivated and bottled by the Domaines de Rothschild (Lafite) group under the Chateau d’Aussieres label. 100% Chardonnay grapes are matured in stainless steel instead of barrels for this wine, it has a strong straw color and a gentle nose of lemony citrus and wildflowers. 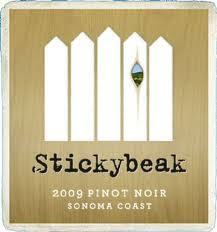 The palate is free of oak and demonstrates fresh lemon, grapefruit, crisp pear and some notes of fresh apple. On the drier side of chardonnays, this wine has solid structure and its crisp acidity offsets the fruit to make it a slow sipping wine capable of being appreciated by the masses, even though it has limited availability with 5,000 cases produced annually. It’s extremely fresh and designed to pair well with meals, but can be enjoyed as an aperitif, but this is a more mature white, easily enjoyed by the connoisseur as well as the amatuer. 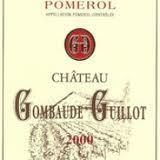 An excellent vin du table that is easy to pair with fish, salad, or white meats, it’s a solid value at $10-12/bottle.